Celebrating its tenth anniversary, Quantic Dream’s Indigo Prophecy was recently rereleased on PC. Luckily, the developers also saw fit to port it over to iOS under the full title Fahrenheit: Indigo Prophecy Remastered ($9.99) as part of its decennial celebration. As a narrative-heavy action-adventure, Indigo Prophecy was excellent for its time and mostly makes a successful transition to Apple’s portable devices. Dubbed an interactive drama, Indigo Prophecy cinematic gameplay is relatively simple and based on a couple of mini-games combined with simple exploration and puzzle elements. The primary mini-game is essentially a quick time event that has you mimicking the on-screen directions via swiping the screen. A second, ‘Endurance Test’ mini-game has you tapping between two virtual buttons alternatively as fast as possible. Failing at either game costs a life, with game over met if you lose all your lives. While originally designed for a controller, the QTE mini-games actually transition pretty well to the touchscreen. That still doesn’t negate the fact that the gameplay is pretty basic while its virtual circlepad for movement is as inaccurate as most other console ports. QTE gameplay wasn’t Indigo Prophecy’s claim to fame. Rather, its amazing story, character interaction, and narrative structure all lead to an engaging, disturbing tale for the player. The game’s introduction immediately sets the scene with a grisly murder by an unlikely character. Taking the role of the murderer himself, as well as the two detectives investigating the crime, players slowly uncover a troubling supernatural plot that has its fair share of creepy moments. I really enjoyed the pacing of the game as what appears to be a seemingly straightforward murder quickly becomes muddied with clue after clue as to what exactly is going on. The pacing and surprise continue all the way up to the end of the tale, where three different significant endings meet the player depending on the choices made in the final chapter of the game. Indigo Prophecy also forces the player to become even more involved with its characters through each protagonists’ ‘mental health’ meter. Failing at QTEs and discovering grisly events in the game cause stress, which lowers the character’s mental health. If it falls to zero, the game ends as the character either has a mental breakdown or worse. Discovering and taking part in everyday optional activities, as well as succeeding in QTEs and discovering substantive clues within the plot reward mental stability. From a technical standpoint it’s pretty basic but I found it fascinating how simple actions such as turning on a television could lead to significant mental deductions (particularly if the TV ends up on a news channel that talks about the murder you committed). Indigo Prophecy’s whole system of character interaction, exploration and discovering and taking part in minor daily activities does a standup job of making players become invested in the protagonists, and thus the world. From the get-go I wanted to know why this murder occurred and I found myself struggling between rooting for Lucas the murderer to discover why this whole crime happened while hoping that both Carla and Tyler the detectives successfully solved the case. Characters have their own motivations, backstories, and issues that all meld together well in this messed up scenario. Another facet of Indigo Prophecy that deserves merit is the game’s excellent soundtrack. The game’s score has its fair share of captivating, creepy songs, which do an amazing job of adding tension to already dark scenes. Meanwhile, the use of pop music in various scenes (which typically include options to turn on music devices) also serve as temporary breaks in the game’s overall tone while still maintaining an edginess that it could break at any moment. This is definitely one of those games that I recommend putting on headphones to fully enjoy. 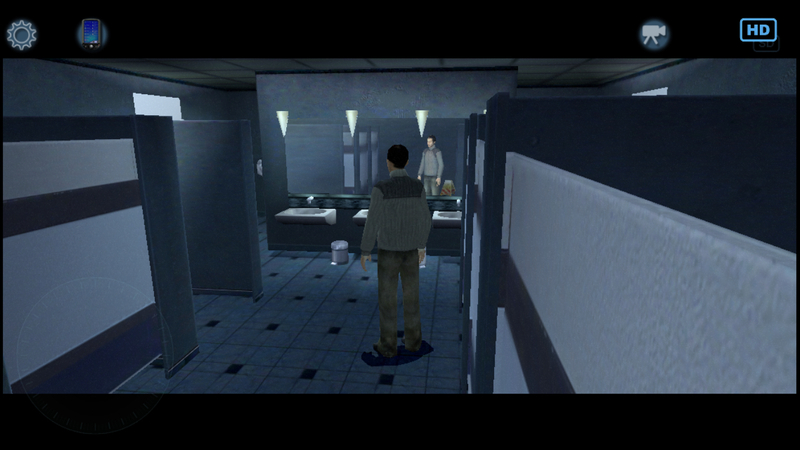 As a remake, Indigo Prophecy has a few tricks up its sleeves. 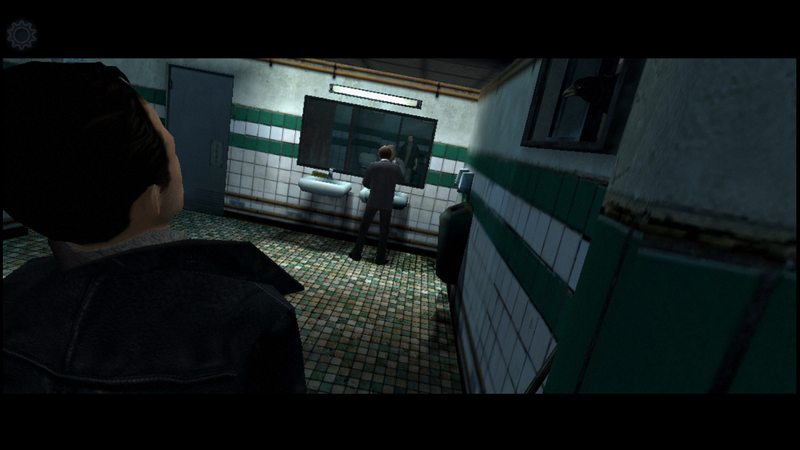 For starters, all the visuals have been redone in high definition and look pretty decent for a ten year old game. Players can also instantly switch between the remastered visuals and the original 2005 graphics in order to see the differences. As mentioned previously, the controls have also been updated for touchscreen purposes and incorporate a lot of swipes and taps that work pretty well. The open world movement controls are probably the biggest miss, especially when the game puts players on a timetable to run around and perform a few actions before an event occurs. On occasion it can make for a frustrating experience, but overall it’s not too bad. Also, even with its remastered visuals it’s obviously no where near the upper echelon of iOS graphics, but it still holds its own. Older console ports have had a tendency to not transition well to iOS, but Indigo Prophecy is thankfully one of the rare exceptions. The QTE gameplay lends itself well to touch controls while the heavy emphasis on story and narrative fit right at home on an intimate iOS device. The game’s excellent use of plot devices, mood setting visuals and soundtrack, along with relatively deep characters lead to a title that has more merit in its tale than most new iOS titles. For fans looking to return to the world of Lucas, Carla and Tyler this remake is well worth revisiting. For everyone else, strap in as this experience is one to remember.